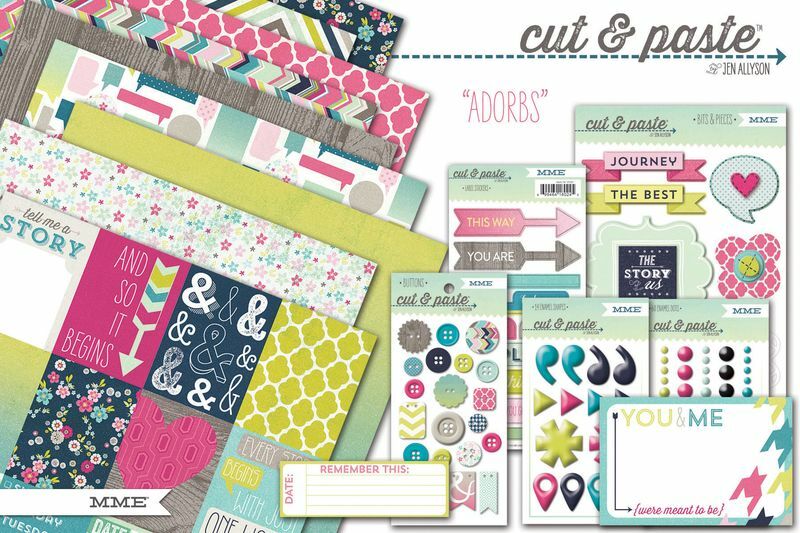 For this article I was lucky enough to get to review the brand new Cut & Paste collection from My Mind's Eye. The collection includes four mini lines as shown below and each one is gorgeous and contains a wide variety of coordinating embellishments including brads and buttons, decorative tape, journal cards and dimensional stickers. .
What I liked: The wide variety of color schemes available in each "mini" collection making it great for both masculine and feminine pages, cards and other projects as well as working for many themes. What I didn't like: Nothing! I guess if I had to choose something it was simply that I did not have as much time as I would have liked to create more. I'll be scrapping with this again for sure! Supplies: Cut and Paste Adorbs collection. Bottom Line: This was one of my favorite releases from this past trade show and I feel privileged to be able to try it out. Huge thanks to My Mind's Eye for being so generous and kudos to them for creating another gorgeous line. 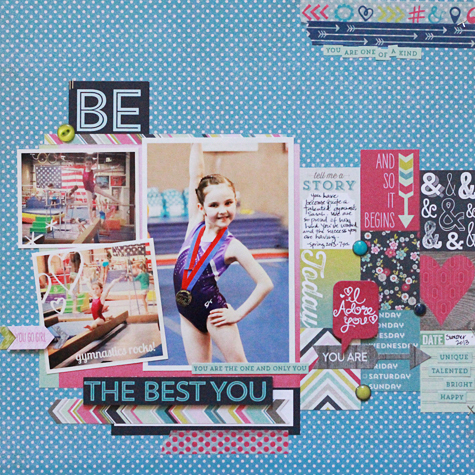 The papers are versatile enough for a variety of themes for any season, for boys and girls. What do you think? Is this a collection you would like to have? Which mini collection do you like the most and why? Leave a comment by midnight EST on Tuesday and you will be entered to win a prize pack from My Mind's Eye! US residents only and please leave a way that you can be contacted. Thanks! my mind's eye has become my favorite manufacturer, this collection doesn't disappoint. 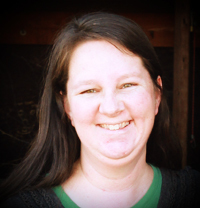 Great job Becky! Beautiful samples! Charm is my favorite! I love the touch of whimsy mixed with the great colors! Great collections and gorgeous samples. Couldn't narrow it down to just one favorite, love both Fresh and Charm! They are all wonderful collections, but I love the colors in Flair. Beautiful! I love all of the collections! They have the colors that are fresh and fun to use. All of the mini collections are awesome but in particular Flair catches my eye for the great colors! Thanks for the chance! 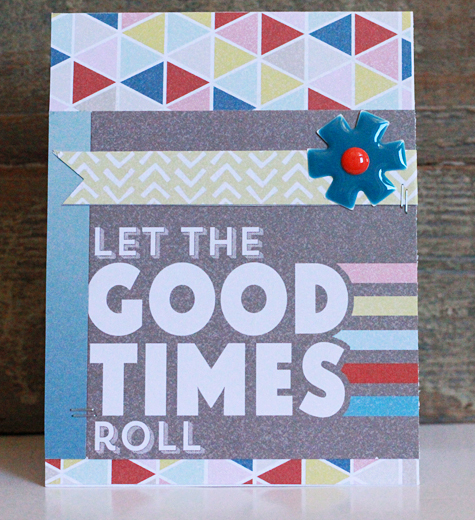 LEt the Good Times Roll is calling to me! MME is always a winner! Love your projects! The whole collection is amazing, but I think I'd choose Charm. I love the colors & graphics in both Presh and Adorbs. Both really suit my style! Adorbs is my fav with a close second by Flair. MME is my all time favorite! Thx for the chance to win! I'm almost always a fan of anything MME produces - so I'm happy to say that this is no exception! Looks super fun and versatile!!! Love the mini collections-I don't get overwhelmed with choices.I like the colors in Charm and Fresh. I would have to agree with what you didn't like. I love everything about this collection! Great projects! My Mind's Eye is my favorite manufacturer right now. They can really do no wrong when it comes to new collections as far as I'm concerned! If I had to pick a favorite from Cut & Paste is would probably be Charm, but I really love all of them! Thanks so much for sharing and for the chance to win! These are awesome collections. I can't see anything I don't like about them. I love seeing what you created with it. I really like them all but "Charm" is my favorite. You can reach me at nathansmom7@gmail.com, thanks to you and My Minds Eye for the chance to win. Charm is my favorite because I love the cool patterns and colors. I am really drawn to them. I like Charm, the 1st one, best. I like the more masculine colors. I really like the Presh collection. Those colors are so fun! 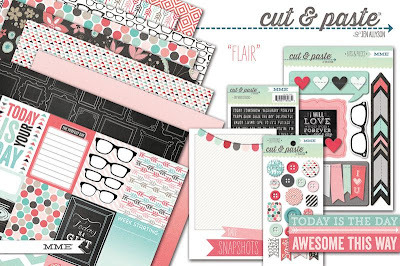 I love this whole range-the colors are gorgeous! Adorbs or Charm is my favorite! Absolutely, this is a collection I love! 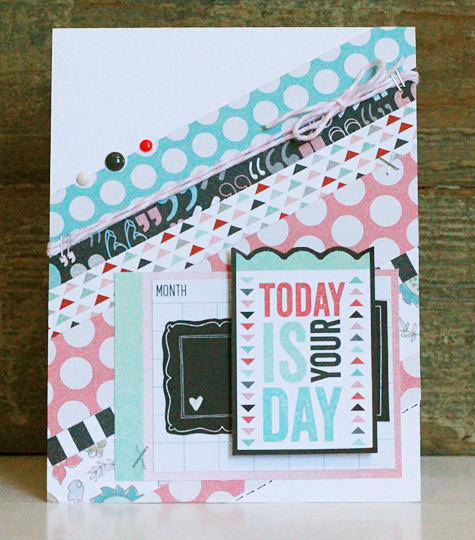 I've already bought a few of the embellishments (enamel dots in every color, please! ), but the variety of colors and patterns across the whole line are all wonderful. If I had to choose one mini, I think I'd pick Presh or Charm bc they're more gender-neutral...but really you can't go wrong with what MME has put together. Thanks for the chance to win! Love these collections, good for all my layouts. These are all wonderful and so versatile! My favorite is Phresh because I LOVE the colors! That mix of orange, blue and gold is amazing!! 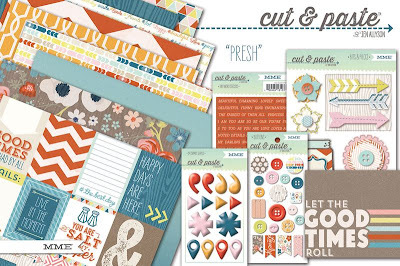 I always love MME and the Cut and paste collections are wonderful. My favorites are Charmed and Phresh. I love that they can work for either masculine or feminine projects! My favorite is the Presh because of the awesome color combinations. I love what you created! I don't even think I could pick which of the collections I like the most! They're all amazing! So much color and so much FUN! This is definitely one of my favorites from CHA!!! 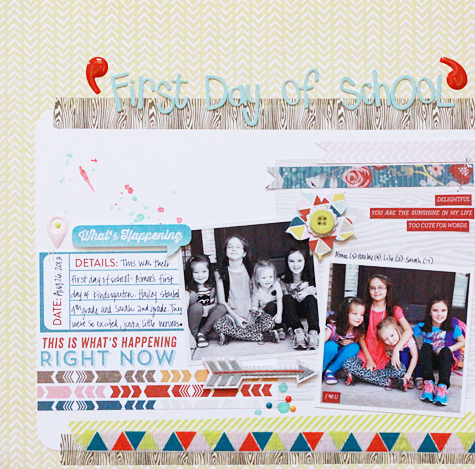 I love the projects you made and all of the collections are pretty. But, I really love the colors in the Presh and Charms collections. I like them all - pick one? Flair? Thanks for the peek and review! Charm is my favorite, but Presh is a close second! 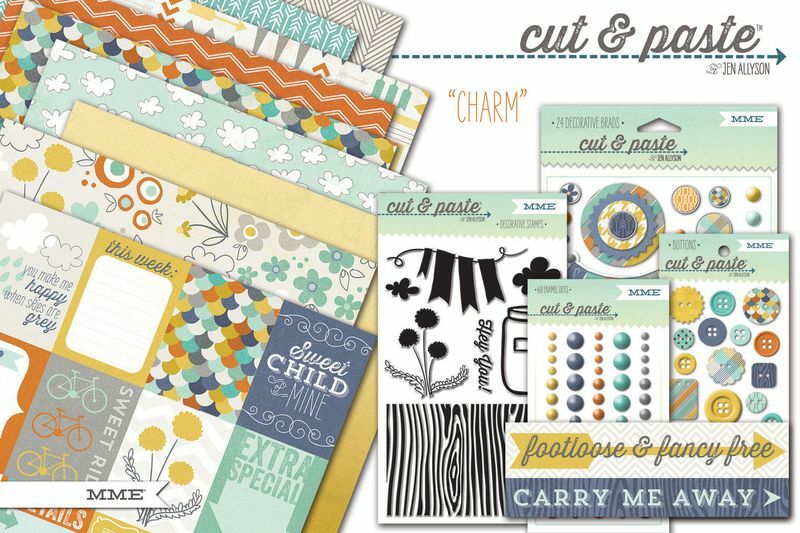 I really enjoy the Charm papers and stamps. The wood grain is great, as well as the banner. And the colors on the papers are just perfect. I love the Flair color way. But the Adorbs is well, adorbs! But wait, the orange in Presh has me written all over it. Oh heck, Charmed is calling my name, just give me the whole lot. Yes, I have a problem. Admitting it is the first step, right? With MME you can never go wrong, I can't think of a collection they have made that I didn't like, lol! 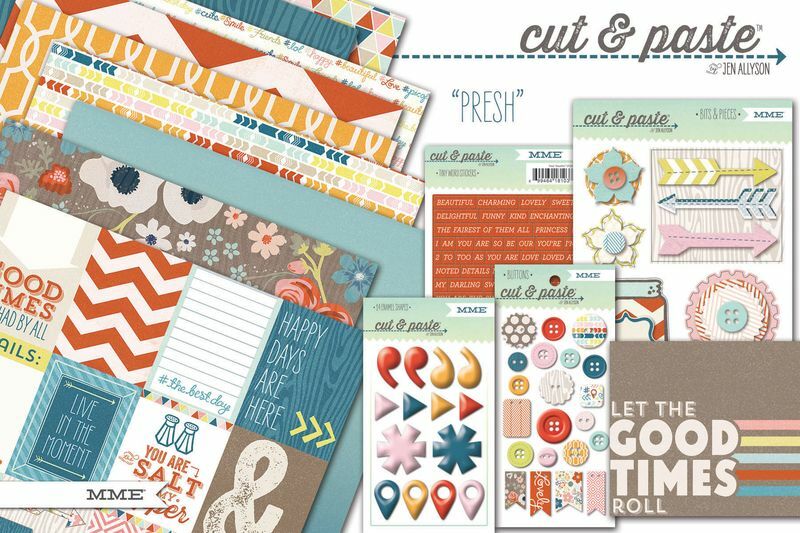 Love this new line, especially the FRESH, I am crazy over touches of orange lately.